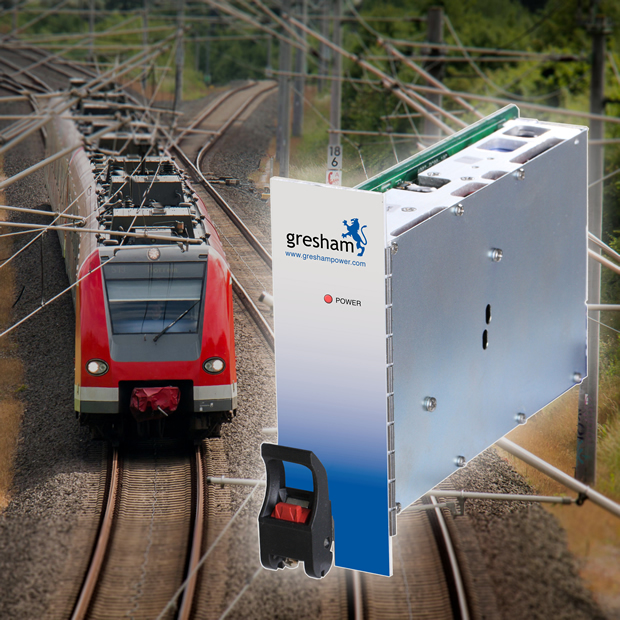 The availability of a 3u high, 300W, DC input, compactPCI power supply suitable for railway and trackside applications has been announced by Gresham Power Electronics. Designed to meet the requirements of EN50155 the CPCI-3U-DC-300W RL requires a DC input in the range 66-160VDC and has four outputs; +5VDC at 30A, +3.3V at 40A, +12V at 5A and -12V at 0.5A. Maximum total output is 300W with forced air cooling and the power supply is fully protected against output overload, short circuit and over temperature with automatic recovery on removal of overload condition. The operating temperature range of the Gresham Power railway cPCI power supply is -40 to +70°C at full load with forced air. For system integrators full monitoring command and control is available including remote sense on the two main outputs with maximum voltage compensation for cable losses 200mV. Remote inhibit and enable controls and a power fail signal are fitted as standard. LED indicators show power good and output failure. Current share is available on outputs 1 and 2 and the power supply is designed for hot-swap operation and has an optional I2C interface. This CPCI-3U-DC-300W RL power supply is designed to meet EN50155, is CE marked, meets UL 60950, EN 60950, EN 61000-4-2, EN55022/CISPR22 Class B with an external TBD line filter and is fully compliant to PICMG 2.11 CompactPCI Specification. It has dimensions of 128.7x40.6x162.5mm and weighs 8.50g. Gresham Power offers a very successful range of CompactPCI power supplies used by major OEMS for instrumentation and industrial systems which can also be ruggedised and conformally coated for MIL applications. Available in both 3U (100x160mm) and 6U (160x233mm) versions are available with both AC and DC inputs. Output power is available from 200W up to the market leading 6UAC input model which provides 650W for the same cost as competitor’s 500W power supplies. 6U 24V and 48V input models are also available. Gresham Power is now supplying products from a number of major power supply manufacturers including EOS Power, SL Power, Vox Power, Advice Electronics and Digital Power. Gresham has also added a new range of Defence power products for land based or vehicle applications to complement its world leading naval power systems.